This towels are just I needed. They have many different colors to chose from. And the towels are thick and big. I bought then set with wash cloths. Love my new towels. Provide a fresh update to your bathroom with the luxurious Madison Park Signature 800 GSM Cotton Towel Collection. This spa-like quality towel set is made of premium long staple cotton that is highly absorbent and creates a luxuriously soft feel. Thick and plush, these 800 GSM towels feature a double ply loop construction to increase thickness, absorbency, and ensure less lint. Each towel showcases its superior quality with double-stitched side hems that provide long lasting durability even after multiple wash cycles. 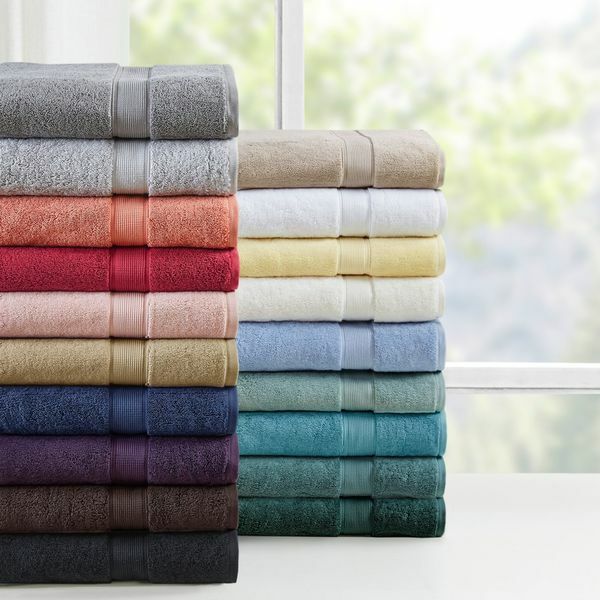 Complete your bathroom décor with this 100-percent cotton eight piece towel set and fall in love with the luxurious comfort and softness. This high quality towel set includes 2 generously oversized bath towels measuring 30x54 inches, 2 hand towels and 4 wash cloths. The set is available in a variety of colors. Match your decor with a complimenting color or mix and match to create a distinctive style. Dimensions 54.0 In. X 30.0 In. X 0.13 In. Firstly, Overstock.com was great in helping me with the multiple problems I had with this product. Buyer beware - there is no consistency in weight within each color and between colors. I so wanted to love these towels and ordered in a few colors. The brown had the heaviest weight and fairly consistent. 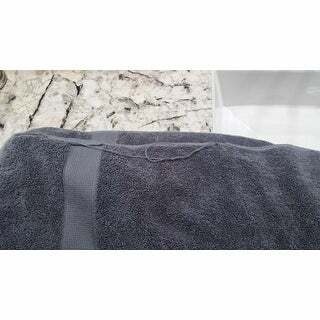 The gray set was washed and I found big long lines of thread on one of the bath towels. It was replaced and having washed it a 2nd time, have found more inconsistencies in the weave. The coral I refused twice both for the weight and quality. These should not be sold as first quality. The workmanship is sub par. Not a single set was without noticeable flaws, some more than others. You may get lucky. You may not. Nice towels. Great color selection. However, I'm dismayed Madison Park Signature is advertised as being 800 GSM. It does not have that weight or thickness as compared with "Superior 100% Turkish Cotton Towels" I eventually bought through Overstock whose packaging labeling actually states 800 GSM. None of the tags on this product state what the GSM is; but 800 GSM is fictitious. 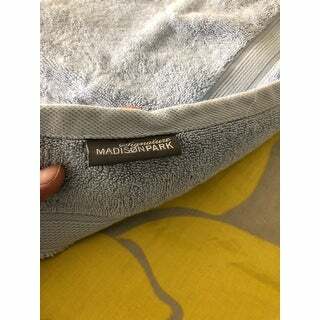 At best, Madison Park Signature towels might be 700 GSM. Use caution when buying if you want TOP quality towels! I returned mine. Bought this to match the Bath mat, but cotton was not soft so returned. "Home Fashion Designs Alina Collection 6 Piece Luxury Hotel / Spa Turkish Cotton Modal Blend Towel Set" in morning mist matches the sea foam Madison Park mat wonderfully and they are much softer. 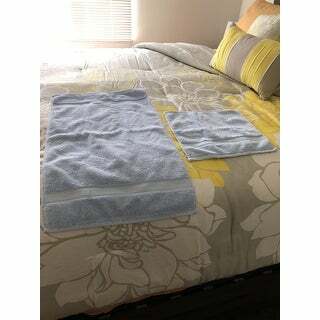 I selected 2 sets of these towels because of the 800GSM, which is the finest rating. When I opened the box, I was delighted by the rich color and look. And after laundering, the towels retained their original appearance! They are bright and soft and DON'T curl at the edges (which just seems to happen with most towels I have purchased). These do well in a comparison with towels costing 5x as much. I couldn't be more pleased. Nice quality set of towels ... wish they were a little softer. Very absorbent. Gray is a little darker which matched my decor. I wish that I could have bought extra bath towels only - had to by 2 sets to get 4 bath towels now I have more hand towels and wash clothes than I really need. love the new cotton towels. I love these towels. I waited a very long time checking reviews and deciding which towels to buy. These are very thick and absorbent and I will be ordering another set. Perfect purchase and very affordable for a full set of towels. Love these towels! Very thick and good weight. Have held up well to washing. Only thing is that they take forever to dry in the spring and summer but I live in a fairly humid climate. I purchased the sea foam and the white colors of these towels. They are thick and soft and look very nice. They do snag easily. They wash well. I washed these towels twice and they still look just as good as when I received them. They are very absorbent, very happy with these towels!! Thick and luxurious. Love the aqua color. After first wash one of the bath towels had started to unravel a bit/long threads dropping off and a snag. I called customer service and they were wonderful to send a replacement right out. These towels are very thick and very soft. The bath towel is very large. I ordered silver and the color is as described and depicted. I have only laundered them once, so far so good. Soft, absorbent, heavy towels in the correct color. Love them. I purchased the brown which is a nice, dark shade. These towels are thick, large and soft and look perfect in my newly remodeled master bath. I bought this set to coordinate with my bedding in the master suite, and the color is spot on. These are quite attractive as decorative towels and are substantial enough to use for every day as well. The pile is nice and plush and I like the thickness of the towels. Have had these for over 6 months now and they have held up very well with a 6 person household. The seem to be high-quality towels but shed a lot of lint when in the dryer. Highly recommend no washing with other product until the lent shed subsides. Very good price for a good quality towel set . I went store to store and never found towels I liked . Very easy to buy and fast shipping . The color of these plush towels is just what I was looking for, they are very soft, and wash up nice and fluffy. Love these towels and will order again. These towels are soft and fluffy. However, they don't stand the test of time. The corners unravel and they spontaneously tear in the washing machine. "Is the seafoam color the turquoise blue? " No, seafoam is more of a grayed down mint green. "Are they heavy and how will they hold up for family use"
They will definitely hold up to family use! These towels are of high quality. I was afraid to order, sight unseen and not being able to feel them for thickness, etc, but I am so happy with them. Yes, they are a heavy towel. These are lovely, very dense towels and should easily hold up for family use.
" What type of Cotton is this that is Egyptian, Pima or other? " This set is Turkish cotton. "What happened to the grey color?" It is the only set that is out of stock, sorry. 800 gsm. Like the extra washcloths. Had my color too.